In July 2018, the Bank for International Settlements (BIS) asked whether the world was heading towards a perfect financial storm. With the US stock market heading for record highs even as emerging markets like Argentina and Turkey were running into foreign exchange problems. Twenty years after the Asian financial crisis of 1997–98 and the global financial crisis of 2007–08, storm clouds are gathering once again. Conventional economic models failed to predict the last two crises because the technical definition of financial risk is measured volatility. The global financial crises proved that current models of financial risk, largely used by banks and financial regulators, are totally blind to Black Swan or Grey Rhino events of unmeasurable uncertainty. This time round, the consensus is that the Grey Rhino (an event with high probability and high impact, but where the trigger is uncertain) is the looming rise in US interest rates in response to a domestic economy that is running at nearly full capacity, with low unemployment levels and signs of creeping inflation. As the BIS has warned, non-financial borrowers outside the United States owe US$11.5 trillion dollars, of which US$3.7 trillion is owed by emerging markets. 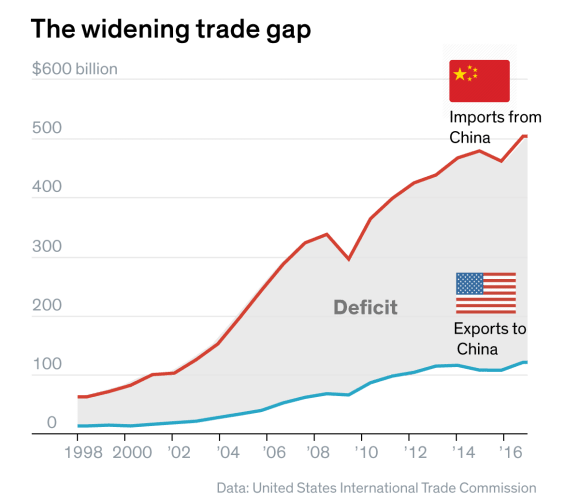 First, the United States is the leading deficit country in terms of trade and debt, owing the world a net US$7.7 trillion, or 39.8 per cent of GDP. This amount is growing because of rising fiscal debt and the low level of national savings. Second, below-par global growth since 2008 has been underwritten almost completely by central bank unconventional monetary policies, which have brought interest rates to an unsustainably low level. Market fears that the large central banks will withdraw quantitative easing — QExit — threaten to jeopardise the current frail recovery, which is why US President Donald Trump is also against the Federal Reserve raising interest rates. If geopolitical risks trump financial risks, what could go wrong in the coming months? Western analysts think that the trigger will be a Chinese debt meltdown. But Chinese debt is internal debt, as China has foreign exchange reserves equivalent to 188 per cent of its foreign debt and still runs a current account surplus. China’s debt problem is an internal debt issue, very much like that of Japan. While Japanese debt is owed largely to Japanese households, Chinese debt is largely owed by state-owned enterprises and local governments to state-owned banks. In such a situation, China is well positioned to rewrite its national balance sheet, a privilege not possible for more privately dominated markets. Dun and Bradstreet’s Global Risk Matrix, published in May 2018, suggested that US interest rate rises could trigger a fresh debt crisis, sending the global economy into contraction. Echoing this sentiment, the International Monetary Fund’s July 2018 World Economic Outlook argued that rising trade tensions are threatening growth recovery in Europe, Japan and Britain more than predicted. Any overheating in the United States would trigger currency crises for some emerging markets. In short, we cannot separate financial risks from geopolitical risks. Any unforeseen event arising from a geopolitical miscalculation, climate change disaster, war or cyber-induced disruption could trigger another round of financial crises.